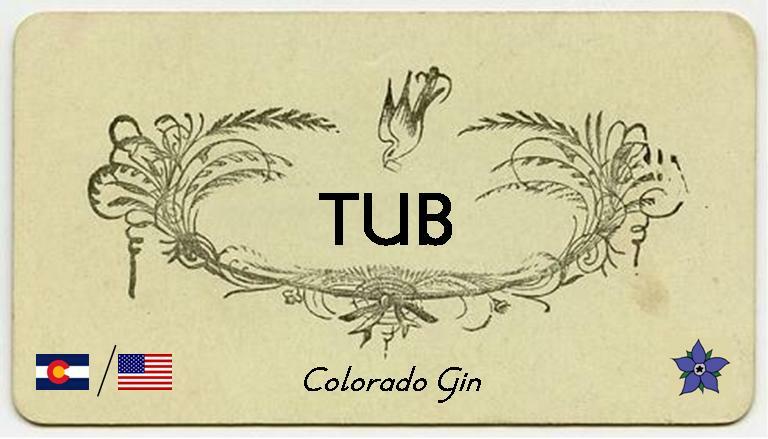 TUB Gin hails from the US state of Colorado, which is something of a hotspot for American small-batch distillation with the likes of Leopolds, CapRock and Roundhouse all hailing from the state. 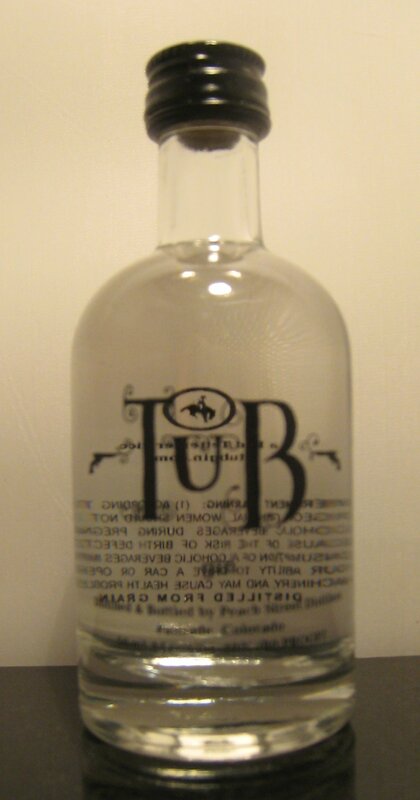 TUB Gin is bottled at 40% ABV. Nose: Juniper and creamy citrus, followed by some fresh fruit flesh like cut apples. Taste: Floral citrus notes with a creamy quality were followed by a piney, creamy juniper towards the end. There was a fair bit of liquorice, too, which added some sweetness. Towards the end, there was some peppery heat to it. This was a floral and very citrusy G&T with just a hint of bitterness at the end. It also had some perfumed pine elements, reminding me a little of a Xoriguer Gin & Tonic. Very refreshing. Rather nice, sweet citrus and coriander comes through more than juniper but the pine is still there. Pleasant and very crisp. Citrus and floral notes are the order of the day with TUB gin; it is also quite intense and definitely full of flavour. As noted before, it reminds me a little of Xoriguer Gin. Given this and the sweetness from the liquorice, it is slightly reminiscent of what some folks argue Old Tom Gin tastes like. Special thanks to Seva for his help with this article. 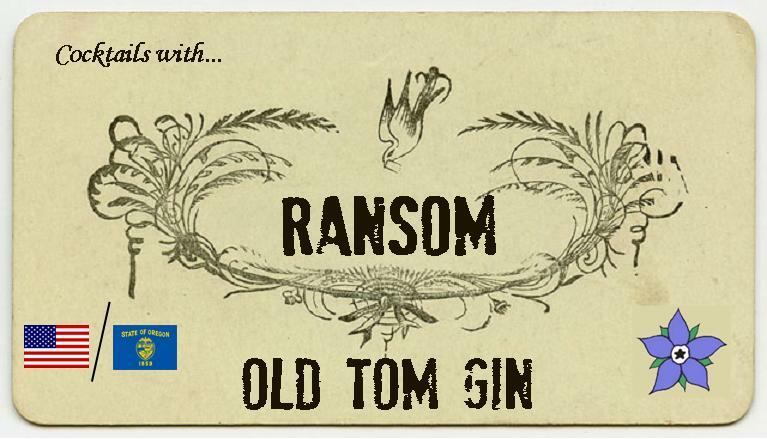 I first came across Ransom Old Tom Gin at our Old Tom Gin Tasting last year where it really stood apart from the other gins. It’s made in Sheridan, Oregon, where it was created to be a historically accurate revival of the predominant style of gin drunk during the Golden Age of American mixed drinks. The spirit was developed in collaboration with the drinks sage David Wondrich. There is a genever character to this gin, which probably comes from the use of malted barley and high-strength corn spirit in the base wort (the liquid in which the botanicals are infused). Only the heart of the final distillation from an alambic pot still is retained for bottling. Finally, the gin is aged in neutral Pinot Noir barrels. Taste: There was a little smooth silkiness at the start, followed by sappy, piney juniper, some vanilla and oak. There were herbal hints, too, and a little tingle towards the end. The wood comes through again, very much like freshly cut wood, rather natural and forest-like. As gin goes, it is really rather good and completely unique. Fresh and flavourful, with some extra piney bitterness and then some oak-y vanilla at the end, which rounds the drink off nicely. A light gold in colour and quite thick in terms of texture, this had lots of rich, piney, sappy juniper notes, alongside some coriander and an oat-y, bitter note intermingled with vanilla. This was a very different type of Dry Martini, being far more herbal and quite intense. The more bitter notes of this gin really come through well in this cocktail; it had a hint of gentian and wormwood. Despite being a very bitter drink, I did manage to find a subtle floral sweetness towards the end. Overall, quite complex. I thought this would work well and it does. 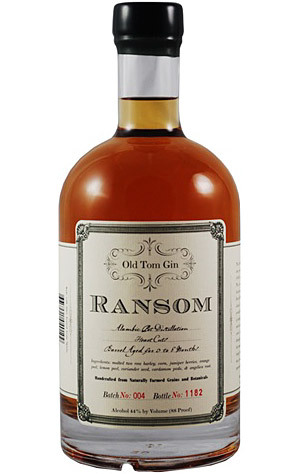 I tend to find that more intense red vermouths best in Negronis, but, when using the more complex Ransom Old Tom, Martini Rosso does a pretty good job. This Negroni has strong, intense, hard-hitting juniper and herbal notes with some woodiness, too. If you like Negronis, I think you’ll be a fan of this. Delicious the anise in the pastis works well with the complex herbal and woody notes of the gin. It’s almost as if the gin was made for this drink. a really harmony of flavour. Really rather tasty; there’s lots going on, including some bitter herbal and pine notes, followed by some oakiness and the the strong, rich flavours of the port. On the finish is a sappy juniper and the citrus of the orange bitters. This is a drink of phases, but very pleasant, too. 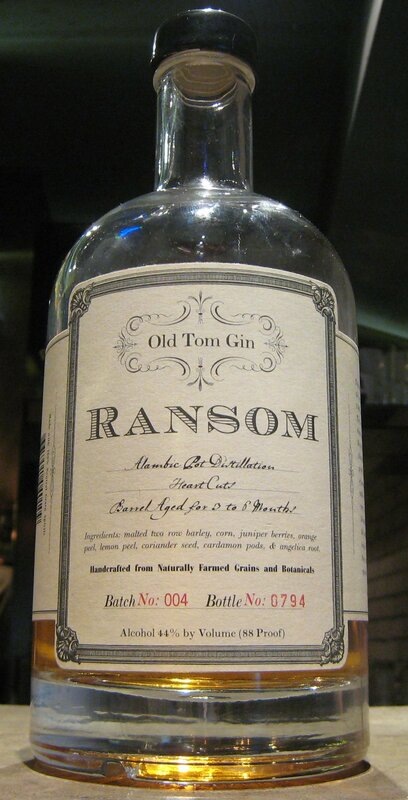 For details of Ransom Old Tom Gin in the UK contact Michael Vachon from Ginuine Spirits. I first tried Boord’s Old Tom Gin before the modern renaissance of the spirit which was kick-started by Hayman’s releasing and Old Tom Gin some years back. 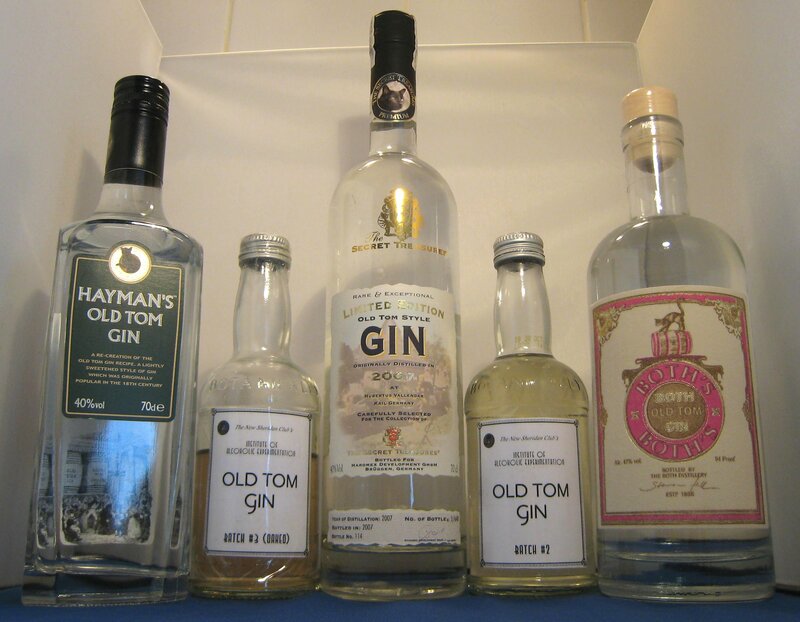 Having done some elementary research on gin, I remember being suprised at the time that there was still Old Tom Gin available but I was a little dissapointed when I tried it as it seemed to taste like ordinary dry gin. Half a decade and 200 different gins later I decided to revisit the gin to review. 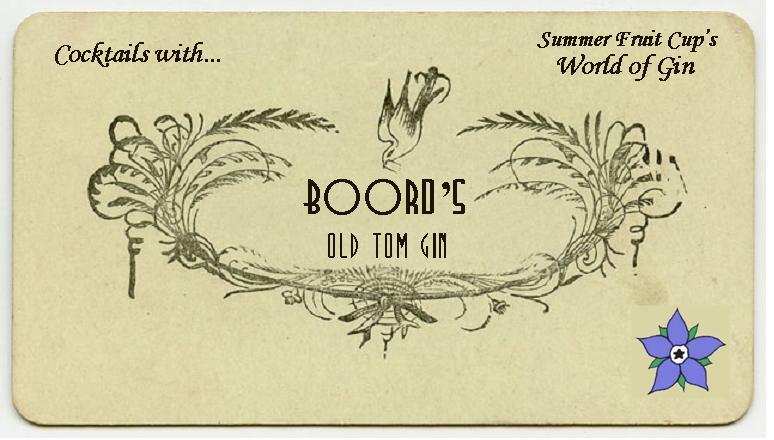 Whilst performing some research before our tasting of 10 Old Tom Gins I had a conversation with the production manager of Boord’s in Missouri, USA. He told me that their “Old Tom” is just part of the branding (matching their cat and barrel logo) and that is not a reflection of the style of gin in the bottle. * Currently Boord’s two strengths of “Old Tom” Gin and another Extra Dry Gin. They did once make a Golden Gin that was sweetened with sugar and bottled at 50%ABV but it has now been discontinued. taste: slight sweetness initally, then some burn then very strong flavours of juniper and realtively weaker cirtus, coriander and angelica. One taster commented that it had some similarities in character to Tanqueray and Plymouth. Quite powerful with a kick. Juniper and some citrus; quite nice but a touch cloying, this could be solved by using another tonic water. This drink was very, very dry at the end. Full of flavour and rather bold. Quite dry with juniper and a biter of spice. Some slightly maltiness and some sake like quality. Unusual hearty and although it doesn’t have the smooth, clean crispnessof a typical Martini I quite liked it. 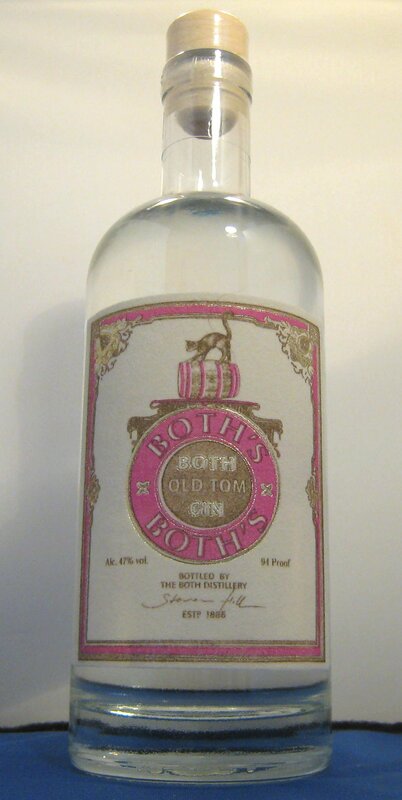 *To be clear Boord’s Old Tom is not, nor do Boord’s claim that is, a gin in the Old Tom Style. 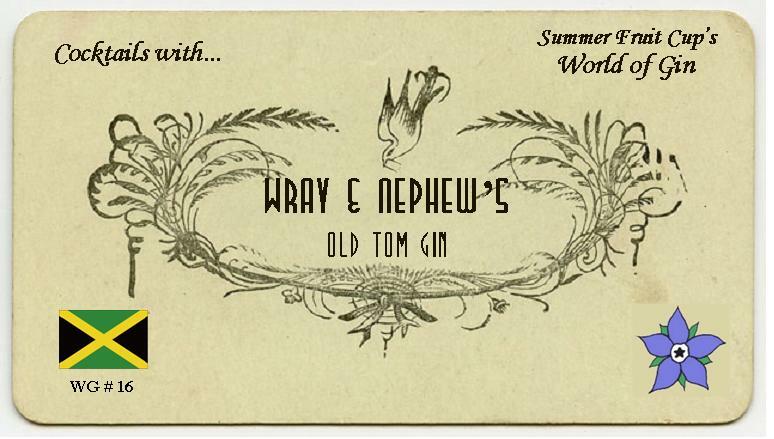 Wray & Nephew’s Old Tom Gin; I found this little gem at Graphic Bar in Soho. If you want to try a gin that you’ve not tasted before, this is the place to visit; not only is it a sterling example of a Modern Gin Palace, but they also host the successful, interesting and entertaining Juniper Society, where the bright and beautiful of the Gin World come to hear tales of and drink this juniper spirit. The next event is on Edgerton Pink on Monday 26th September 2011. Made by Wray & Nephews, the famous rum makers in Jamaica, the bottle of their Old Tom Gin does not say as much, but I suspect that, like Gordon’s Jamaica Cane Gin, it is made from a sugar cane/molasses based spirit. 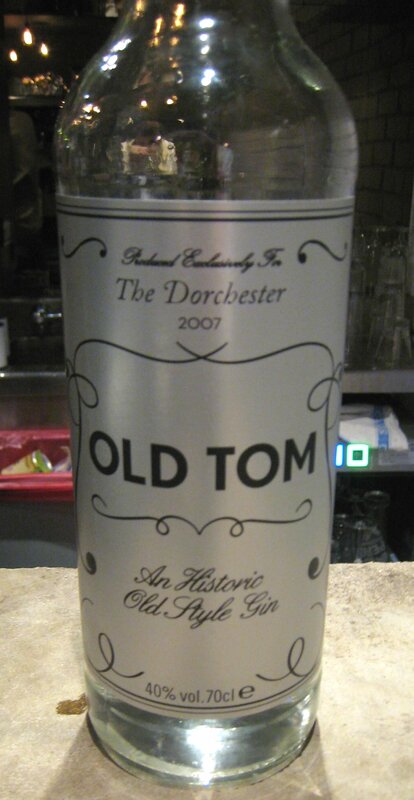 iii) an Old Tom Gin that I hadn’t yet tried. 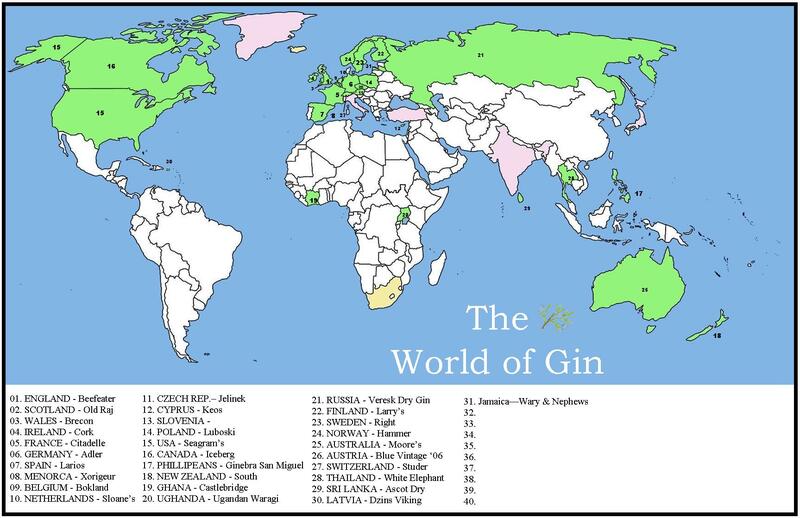 Given the limited time period for this tasting, I stuck to the “Gin Trio” method of tasting: neat (a good way to taste the spirit unimpeded), with tonic, and in a Martini (the two most popular drinks in which to drink gin in, at least, the UK and the USA). The nose was mainly of alcohol with some cream, but it was ultimately more like a vodka than a gin on the nose. To taste, it had a long oily finish after some juniper and quite a harsh lemon tingle on tongue. Interestingly, there was no noticeable sweetness when compared to normal gin. This had a minimal nose, a bit like glue. You wouldn’t know from smelling it that it was a Gin & Tonic. The flavour was very strong on the alcohol, but had an underlying very basic flavour of juniper and citrus that does just about come through. This is a very, very elementary gin. This tasted like a low quality spirit, but with plenty of ice, a lemon wedge and a flavourful tonic (like Fentiman’s), it would be passable. This tasted like a vodka Martini: crisp and surprisingly clean, but can you taste the gin? No. That said, this was easily the best drink that I tried in my limited tasting. 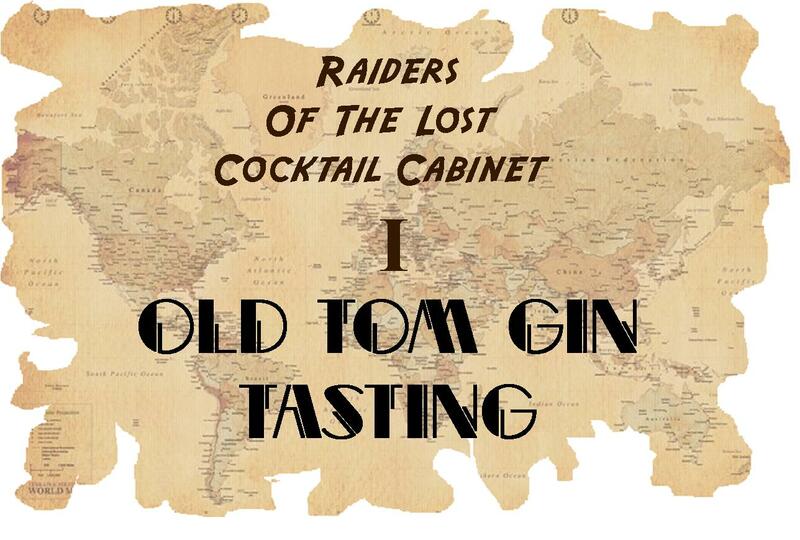 Is it an Old Tom Gin? Not really, and certainly not in the traditional sense of the word; it just tastes like normal gin. 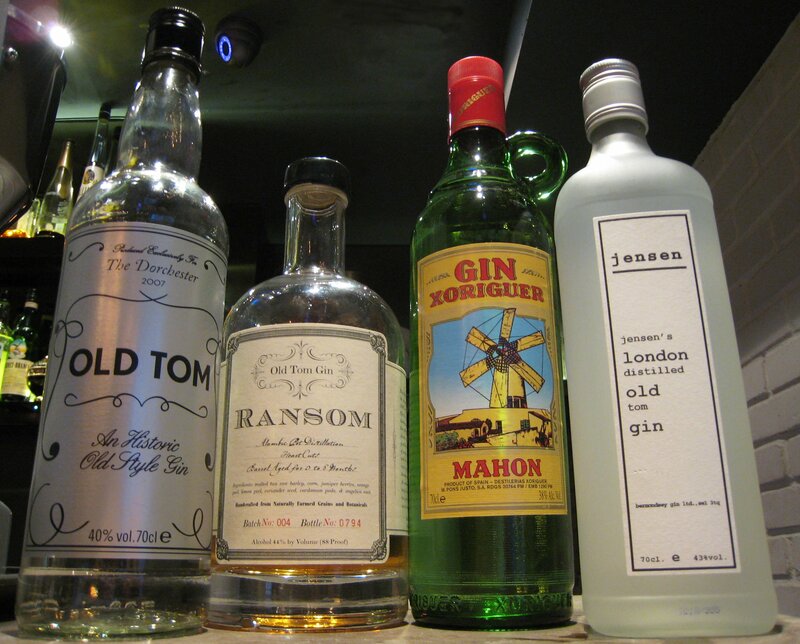 I think the set-up is very similar to that of Boord’s, both of which pre-date the Hayman-led revival of Classic Old Tom Gin; basically, the “Old Tom” in the name is just that: a name, and has no further reflection on the gin.